UN calls for restraint in Koreas Jump to media player The United Nations Security Council has met to discuss the increasing tension between South and North Korea. S Korea warns North after clash Jump to media player South Korea says it will retaliate with missile strikes against the North if faced with "further provocations", after an exchange of fire in which two South Korean marines were killed. 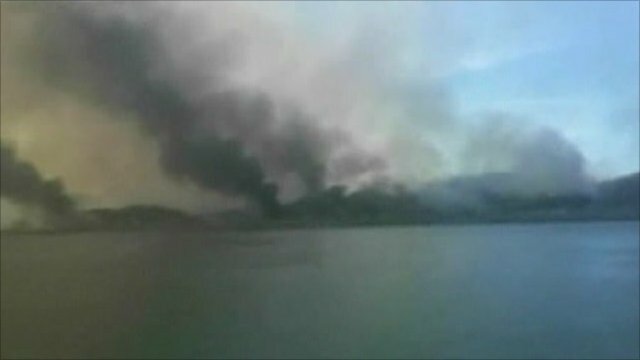 The South Korean news agency, Yonhap, is reporting that the country's military is to begin a live artillery exercise Monday on an island close to the border with North Korea. Earlier, residents of Yeonpyeong island, and four other islands, were told to move into air raid shelters The preparations by South Korea come at a time of rising tension with the North which has issued repeated threats of retaliation if the exercise goes ahead. In New York, the United Nations Security Council has been meeting to discuss those tensions. 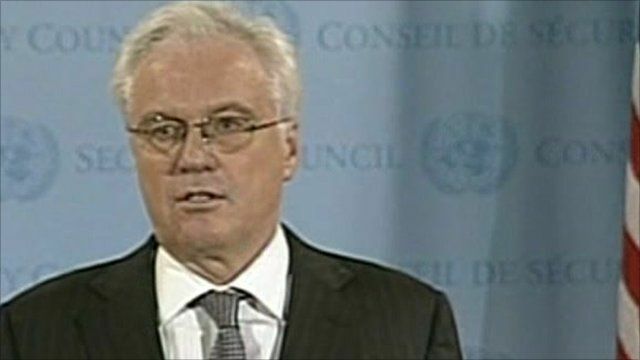 This is what Russia's ambassador to the UN, Vitaly Churkin, had to say to reporters.